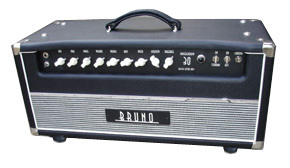 The Bruno Underground 30 is one of the most coveted guitar amps in the world. It is an incredible sounding, hand-built masterpiece that has received rave reviews and awards from top musicians and guitar publications. This is an amp that must be heard and only then can you understand how an amp from a small boutique company could inspire such extraordinary endorsements. The Underground 30 is available either with or without Tony's Custom 3 Knob Tube Reverb System built in. This is the lushest, most spacious reverb system and has separate controls for reverb tone, reverb mix and reverb dwell. The tonal quality and flexibility of this reverb will astound you. The Underground 30 features 36 watts of class A power from 4-EL84s, 3-12AX7s, and a GZ34 rectifier. Reverb models include 1 additional 12AX7s and 1 EL84 for the tube driven reverb circuit. The cabinet is constructed of solid pine for its sweet brightness and then fine tuned with a birch ply baffle for superb resonance. 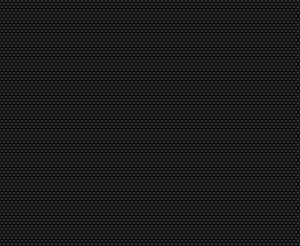 Finger-jointed construction is used just like the finest furniture which provides a very strong, extremely rigid, rattle free cabinet that will last a lifetime. Other features include premium tolex coverings, padded handles, heavy duty feet, stainless steel screws/bolts and chromed steel corners. Standard finishes are black, brown, dark green, red or cream with an Art Deco style control panel and aged Ivory "chicken head" knobs. It comes as a head, 1X12, and 2X12 combos. The Underground 30 was the solid winner in Guitar Player Magazine's Feb. 97 shootout of 23 boutique guitar amps. It was also awarded Guitar Player Magazine's highly coveted The Year's best Gear award for 1997 in their Nov. 97 issue. Guitar World Magazine loved the Underground 30 and wrote an excellent review in their June 1995 issue. The Bruno Underground 30 is being hailed as the very best -The world's finest sounding amp.